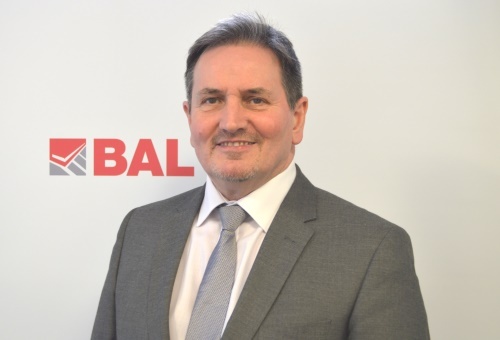 BAL have appointed Paul Telfer as Specification Sales Manager for London and the South East. Paul will work with architects, designers, specifiers and contractors supporting them on M40/M20 specifications, providing project support and delivering RIBA-accredited CPDs. With more than 15 years’ experience working with market-leading building products manufacturers, Paul has a track record of working with architects and contractors to deliver high profile and high value specifications across the UK. Paul joins BAL from the Stansons Group where he worked with architects, specifiers and contractors on exclusive projects such as the Clarges office and apartment development in Piccadilly, Townlands Hospital in Henley on Thames and student accommodation at Lewisham and Southwark College (LeSoSo Campus). Matthew Leaver, Head of Specification at BAL said: “I’m delighted to welcome Paul to the team as part of our continued development and investment in the specification sector to support all parties in delivering long-lasting and high quality tiling projects across the whole of the UK. BAL has a number of free tools available to architects and specifiers to assist them from project start to completion including the company’s industry-renowned free and dedicated Technical Advisory and Specification Service (TAS) for technical queries and Sample Testing Service to ensure the correct selection of tiles and fixing products during the specification process. BAL can provide a solution for any background, environment or tile material and is trusted throughout the industry for its quality and lasting performance.